The Arts and Sciences Division includes the academic transfer, university-parallel programs and courses of instruction that are designed to provide the first two years of study leading to a baccalaureate degree. The Arts and Sciences Division confers the Associate of Arts, Associate of Science degrees and Associate of Arts in Teaching degrees. Suggested Transfer Guides are offered to allow students to focus on a major field of study. Students who complete the prescribed course of study may transfer to a four-year college or university to complete the junior and senior-level requirements for the baccalaureate degree. These degree programs are designed to be completed in two years of study; however, students have the option of transferring credits at any time they finish their studies at South Plains College. The Arts and Sciences Division is comprised of 10 academic departments and 48 suggested transfer options. Students who meet the general requirements and specific minimum requirements will be awarded an associate degree. These requirements are listed below for each degree. The Arts and Sciences Division is under the administrative direction of Alan Worley, Dean of Arts and Sciences. * SPC General Core Curriculum Requirement. **Select one 3-hour course from the approved General Core Curriculum. *** Physical education activity courses may not be repeated for graduation credit. Please see requirements regarding non-resident completion of this requirement in the SPC Graduation section. ****Minimum of 9 semester credit hours must come from any combination of ANTH, ARTS, BUSI, COMM, CRIJ, DRAM, ECON, EDUC, ENGL, GEOG, HIST, HUMA, MUSI, PHED, SPAN. Consult suggested transfer guides and an advisor to determine electives. Elective courses must be eligible for transfer toward a baccalaureate program. **Select one 3-hour course from the approved core curriculum. ****Minimum of 6 semester credit hours must come from any combination of AGRI, BIOL, CHEM, COSC, ENGR, GEOL, HECO, MATH, PHYS, PSYC, or SOCI. Consult suggested transfer guides and an advisor to determine electives. Elective courses must be eligible for transfer toward a baccalaureate program. The courses offered at South Plains College are intended to provide an academic foundation for a student’s educational development. At the same time, students are given reasonable freedom of course selection in order to satisfy individual needs. If the student intends to enter a university after leaving South Plains College, a faculty advisor should be consulted in selecting courses to assure junior standing at the transfer institution. The Texas Higher Education Coordinating Board has established rules, which state that “all lower division academic courses shall be fully transferable among public institutions and must count toward the same degree at any public college or university in Texas.” Each public university is required to accept in transfer into a baccalaureate degree the number of lower division credit hours in a major which are allowed for non-transfer students in that major with certain limitations. The following may limit transfer of courses: THECB Transfer Curriculum, the receiving institution’s degree plan, and certain “D” grades. Procedures exist for transfer dispute resolution (See Transfer Dispute Resolution ). South Plains College is committed to quality academic standards and to providing each student with an opportunity to master required skills and competencies. 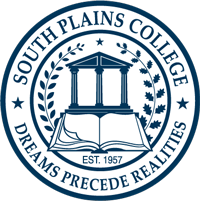 The requirements for degrees and certificates granted by South Plains College are based on guidelines established by the Southern Association of Colleges and Schools Commission on Colleges and the Texas Higher Education Coordinating Board. Associate degree programs contain a basic core of at least 15 semester hours of general education courses, including at least one course from each of the following areas: humanities/fine arts, social/behavioral science, and natural sciences/mathematics. Graduates also must be competent in reading, writing, oral communication, fundamental mathematical skills, and the basic use of computers. The core curriculum program established by the Texas Higher Education Coordinating Board facilitates the transfer of college-level credit among colleges and universities in Texas. Each institution is required to establish a core curriculum of at least 42 semester hours credit that fulfill the general education requirements of degree programs on the associate degree and baccalaureate degree levels. The following courses have been identified as fulfilling the minimum requirements of the general education core curriculum. Specific transfer guides and degree plans detailed in this catalog will recommend course work in addition to the options that follow. Students should consult the recommended transfer guide or degree plans for their particular major. Reading, Writing and Fundamental Mathematical Skills are addressed through the college’s participation in the Texas Success Initiative which ensures that students possess the necessary academic skills to perform effectively in college. TSI is a program of testing and, if needed, remediation (view here ). Students who need additional work to meet the demands of college-level course work will be required to participate in developmental study. Students should allow more than two years (four semesters) for completing the requirements for an associate degree or certificate if they are required to enroll in developmental studies. In those cases where students are exempt from TSI requirements, student competencies are addressed and documented on approved degree plans.In addition to the general education courses, South Plains College assures that all graduates are competent in reading, writing, fundamental mathematical skills, oral communication and the basic use of computers. This is accomplished through several methods including participation in the Texas Success Initiative Program (TSI), approved courses within the program or departmental curricula, testing, incorporation of competency-based objectives across departmental or program curricula, and evaluation of high school or college transfer course work. Oral Communication is addressed through courses approved by the South Plains College Academic Council, satisfactory completion of an oral communications competency test or inclusion of competency-based objectives across departmental or program curricula. Specific courses identified as meeting this competency requirement include: RNSG 1413 , RNSG 2307 , SPCH 1311 , SPCH 1315 , SPCH 1321 . Basic Use of Computers is defined at South Plains College as the ability to demonstrate proficiency in identifying and using hardware components, performing basic file management, and manipulating data using contemporary application software on a microcomputer. This competency may be met through testing, designated courses on the program and divisional levels, or evaluation of high school course work. Methods other than completion of approved courses are documented on individual degree plans. Courses meeting this requirement include: ABDR 2355 , AGRI 1309 , ARTC 1302 , AUMT 1407 , BCIS 1305 , DEMR 2332 , DFTG 1309 , ENGR 1304 ,HART 1307 , ITSC 1301 , MUSC 1330 , MUSC 1427 , RNSG 1413 , RNSG 2307 , WLDG 1417 .